It's been a while since I posted anything on this blog. I can say this is partly because I have been super busy with the various fabulous elements of life and partly because I was more consumed with Tumblr and decided I would focus on one medium. Looking back at what I've posted, I do recall I was making this more of an arena to post my cooking escapades and recipes. I still love that idea and would love to continue with it. In the past months I have been busy with school, traveling and my wonderful vintage Etsy shop that I adore! I am in love with all the great pieces I find. It's definitely my baby. I updated the background color of the blog because I felt the black was making it difficult to read. The light grey font was jarring on the eyes with that dark background. I hope you all like it, it's nothing too fabulous. 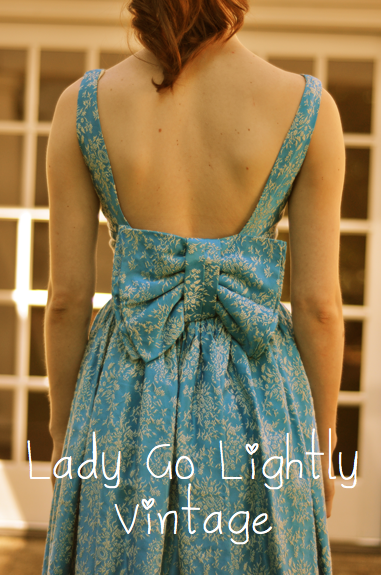 I will get to posting some more recipes, but in the meantime do check out Lady Go Lightly Vintage.